After much anticipation (well, in our house anyway) I am finally able to announce the new addition to Just Jane … soy wax candles. These are something we have made at home for some time now, but after several friends commented on how lovely they were when given them as gifts we finally decided to give them a go as a part of the business. It’s very exciting although a little daunting too. 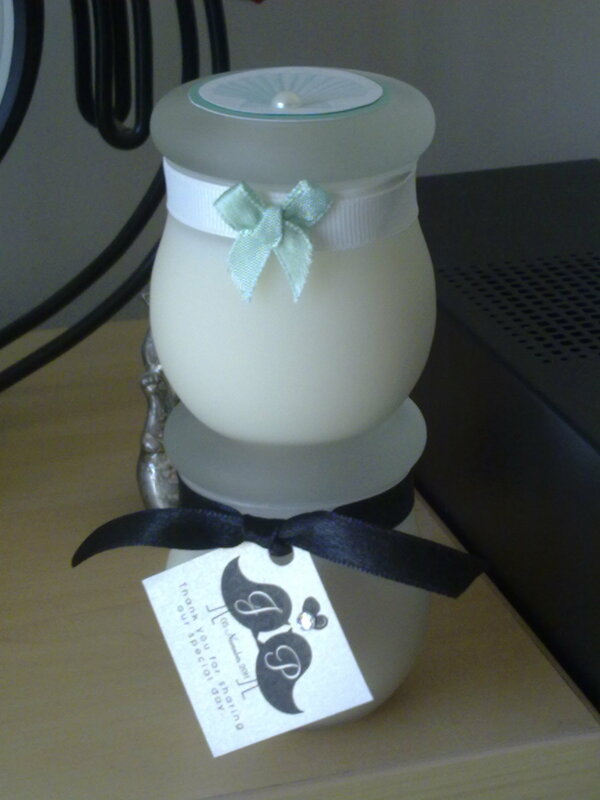 The candles are made of 100% soy wax and for now they are all container candles – hand poured into lovely glassware. In the fullness of time we will expand the range and we hope to introduce pillar candles eventually. Soy wax is a completely eco-friendly product and sustainable which makes chosing candles made of this vegetable based wax an environmentally sound one. 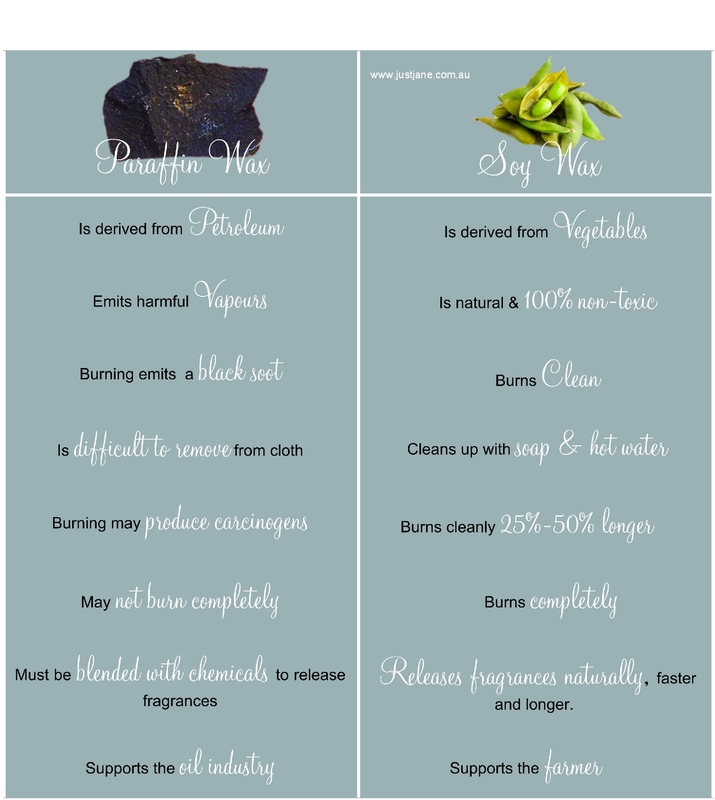 I’ve included below a little chart which shows the differences between burning a regular paraffin blend candle (what most mass produced candles are made from) and a soy wax candle. My candles are all hand poured by me and made with love. And the really great thing about them is that they can be decorated and personalised to suit your requirements! The baby bulbs make ideal bonbonniere/placecard style gifts for weddings and special events and the larger ones are great for gifts for those special people in your life. We are starting small with just 3 styles but as the business grows so will the range. I would love for you to visit www.justjane.com.au and have a good look at them. I even have a store set up where you can order them online and then I’ll be in touch to discuss the finer details.